These beautiful, unique and collectible earrings have been hand cast from Sterling Silver. 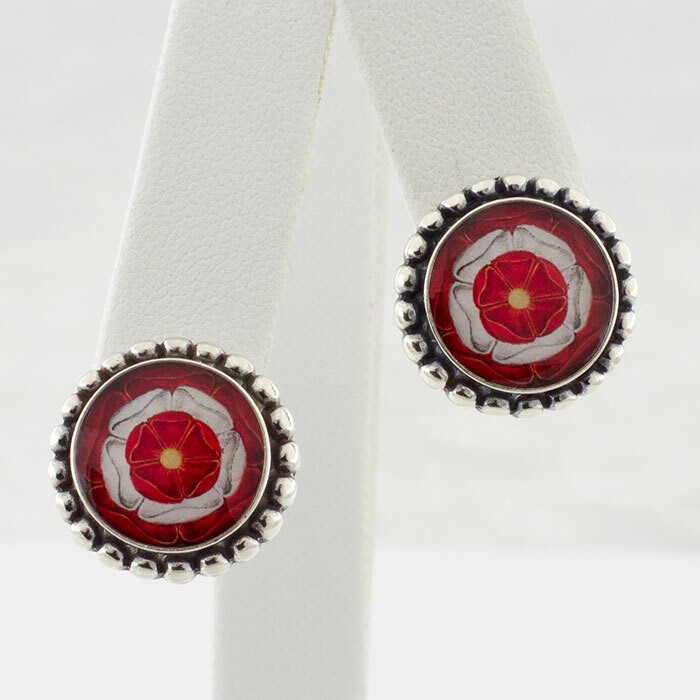 The post style earrings feature The Tudor Rose, the traditional floral heraldic emblem of England, which takes its name and origins from the Tudor dynasty. Packaged in a lovely velvet gift box. 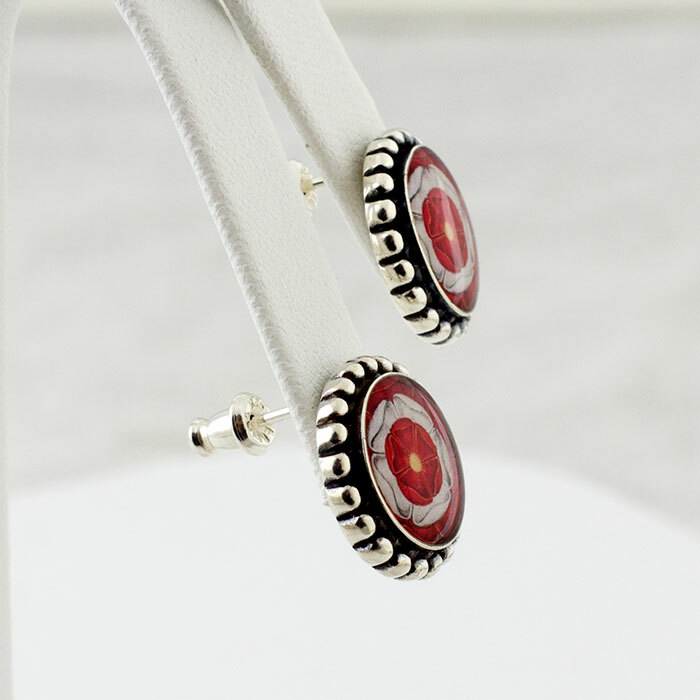 Sterling Silver round post earrings with classic barrel style sterling ear nut findings. These gorgeous earrings are hand fabricated cast sterling silver with a lovely beaded edge. To help with metal sensitivites both the silver and the bronze earrings posts and findings are made from .925 silver. Dimensions: Earring Size is approx. 5/8" (16mm) , Image size is approx. 1/2" (12mm) in diameter.